Freedom Camping has been an issue for many years on the peninsula and New Zealand in general. Initially freedom camping was a quaint idea used by Kiwis while on holiday with their family, but with the influx of visitors and tourists on the Otago Peninsula it is now a major problem. The recent publicity and awareness of freedom camping problem that has arisen in Macandrew Bay is not unique. The new regulations for using specific areas for freedom camping has not increased the numbers of freedom campers, it has just concentrated them into the designated areas. Prior to this, freedom camping has not been a major concern for Macandrew Bay residents as the problem was not in their backyard. For many years Sealpoint Road, Taiaroa Head, Te Roana Beach, Maramoana Park, the Pineapple, the top of Camp Road etc have been utilised and abused by freedom campers. Previously enforcement was ad hoc and ineffective. When DCC was advised of people camping illegally on park reserve etc, no action was taken until possibly the following day, by which time the campers had left. Unless authorities control freedom camping by enforcing a routine pattern for control and penalties for infringements, nothing will improve. This enforcement needs to relate not only to designated freedom camping sites, but also the popular areas used by freedom campers learned from previous visitors to the area.. Thanks for the comment Bill. I think you’re quite right that until the change in Bylaw there was never really a major issue. Concentration of people into an urban space has created tensions and issues over the use of the space. I do agree that enforcement has been ad hoc and needs mush greater strengthening. I’d like to see local citizen rangers appointed into the Peninsula to act as guides and information gatherers to ensure we manage the problem better. My main concern is the confusion around the Bylaw and the way it operates. Sage advice, keep in touch. I agree with you Paul, and also Bill and Lenni. As one of the people who took part in the original survey of freedom campers – mostly in station wagons and some even in sedans – the problem in places like Maramoana which does not have a toilet, is when they use the edges of the reserve for this purpose. Presumably even more people than was obvious did that, but some took away the evidence. I can assure you that picking up toilet paper and occasionally faeces (so that it did not get counted twice) of those who did not remove the evidence was not pleasant. Certainly not a place I would want to take children to play. We have an excellent camping ground at Portobello and a private parking area provided at Te Rauone with public toilets nearby so in my view we should be encouraging the visitors to use these. In that way we know they really are contributing to the local economy! 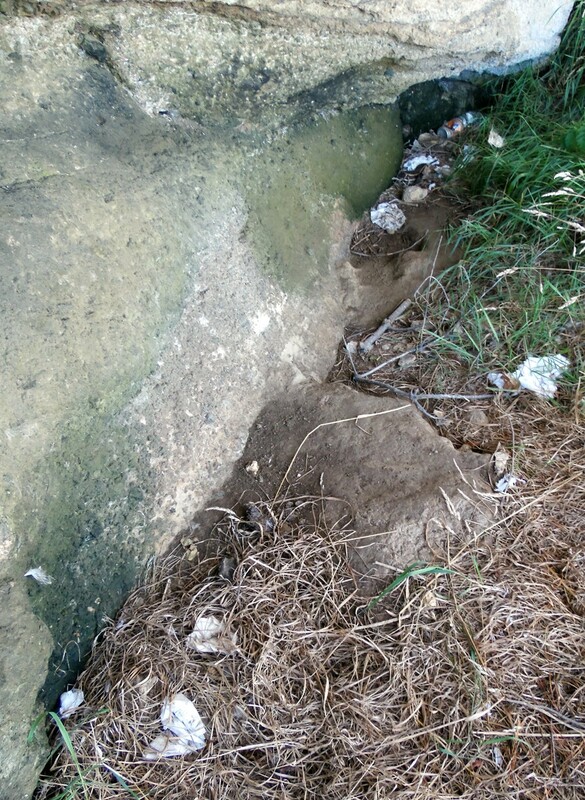 Its the use of sites like this as toileting facilities that is making the residents of the Peninsula the most weary! People in the community have a right to be able to use their open spaces without having to worry about health risks from this sort of activity. Paul, Well written. The question I have asked myself each time I have driven past Mac Bay is, How can our council support one business ,that is the companies that hire the camper vans at the expense of local businesses,that is local camping grounds. The only city councillor who has questioned this is Andrew Whiley. So far the outcome of freedom camping at Mac Bay is ugly signs and the rate payer paying for increased monitoring by security staff. Thanks Sharyn. There’s definitely a need for better information about the economic impact and benefits of this activity in the community. Otherwise we’re just making decisions that are blind without understanding the consequences. The only thing I can do is keep asking the right questions and getting feedback from the community that this bylaw hasn’t reached the required outcomes in our community.